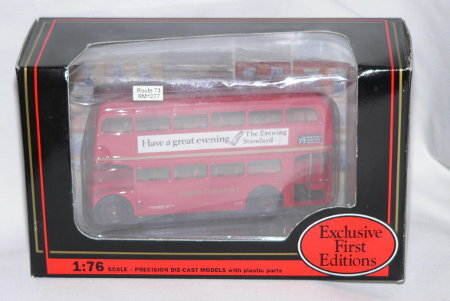 A boxed EFE (Exclusive First Editions) 1:76 scale diecast red model bus. 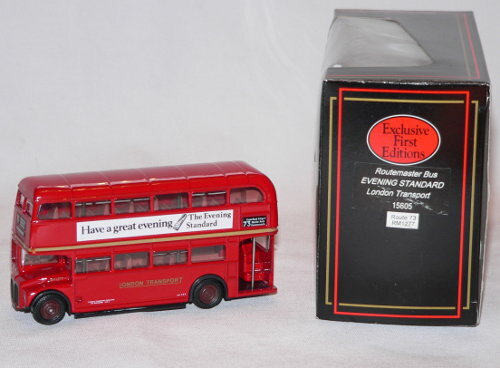 This is a Routemaster double deck bus, model RM1277, a London Transport Evening Standard model. It is route number 73 with The Evening Standard on the side. It is a 1:76 scale model which is compatable with OO gauge railways. Condition: Excellent overall condition. In its original box.